1. Cost – although underfloor heating can be more expensive to install initially when compared to a traditional, standard radiator, the long-term savings can be tremendous. While radiators can constantly dump heated air into a room to warm it, underfloor heating works more efficiently, which means that your energy bills each month in a home with underfloor heating are lower. The savings can be as high as 40% in homes with a condensed boiler and when you add this amount up each month, it will really make a difference on your bills. 2. House Value – homes with underfloor heating are known to have much higher resell values compared to other similar homes in the area. 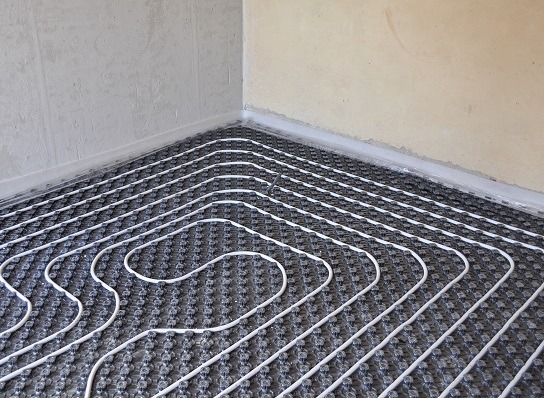 When your home or space has underfloor heating, this additional upgrade can yield greater dividends in the future. It’s a smart move for any new home build that is considering reselling or for any home renovation project. 3. Environment – underfloor heating is much safer and better for the planet. By using a heating system that does not leak like a traditional duct heating system, your home can see better, stronger heat for a lower cost and using less energy. In addition, the heated pipes can come from warmed water versus burned fossil fuels, reducing emission levels as well. 4. Luxury – installing underfloor heating in your home means that you will enjoy relaxing, warm floors in whatever area of the house you choose. Underfloor heating immediately eliminates the annoyance of cold floors beneath your feet on chilly days or during the wintertime. Stile-It can install underfloor heating with a range of floor finishes. Please contact us for more information on this service.